Please note that these are estimated shipping times and unless noted, are not guaranteed. Business days count as Monday-Friday. Saturday and Sunday are not counted as business days. View all of the info regarding our shipping policies and information. International orders may be subject to VAT fees, please contact your local customs for further information. Please reach out to your local customs department to ensure you have the necessary documentation for importation. Additional documents are not needed in all cases but to prevent your order from being delayed or rejected know your local customs requirements. Also be sure to contact the courier chosen and ensure that there are no product restrictions or fees. 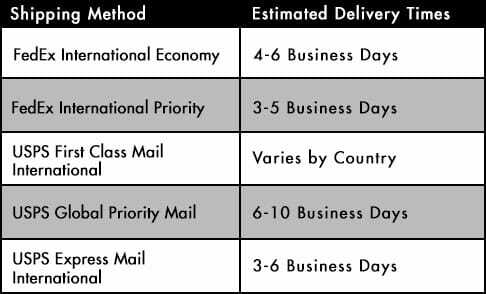 Some couriers may have restrictions that vary based on the country/region which can result in your package not being fully delivered or you being charged for importation through FedEx. As we are unaware of these policies it is up to our customers to verify this for their location. If your package is returned to sender due to incorrect shipping information or availability you may be subject to a return to sender fee imposed by the courier. Free Shipping To USA & CANADA! All orders that meet the following requirements will have the FREE SHIPPING option. 1. The order must be over $19 for Free Shipping to USA and over $99 for Free Shipping to Canada (Does Not Include Tax or Shipping). 2. All items in the order must qualify for free shipping. Look for this on the product page underneath the price. This item qualifies for FREE SHIPPING! *Free Shipping to Canada Excludes Paintballs & products that are not allowed to be exported due to MFG guidelines. Also, All Planet Eclipse Product can not be shipped into Canada, Mexico, France, Portugal, Russia, South Africa, Australia, Malaysia, Germany, Switzerland & Austria. 3. The order must be shipped within the 48 contiguous US states or Canada. If your order qualifies for free shipping and you choose free shipping, the shipping method selected will be up to ANSGEAR.COM's discretion. All orders take between 24-48 hours to process and ship from our facility. This does not include weekend days. 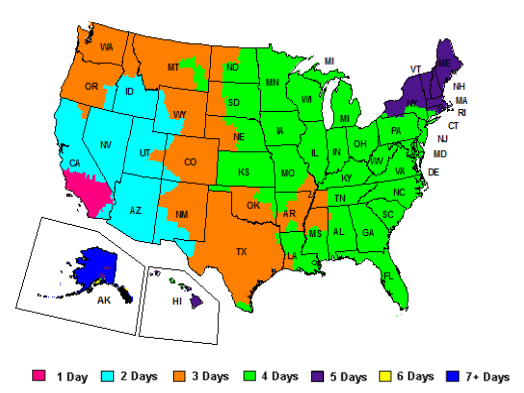 ANSGEAR.COM uses FedEx and USPS as our primary shipping carriers. 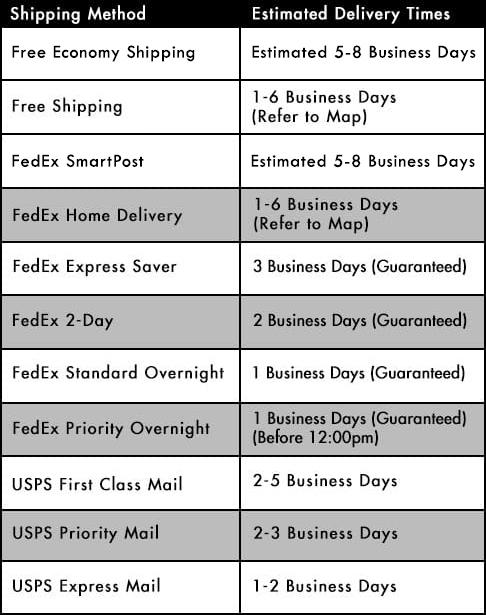 For delivery times, please refer to the map and charts below. Please keep in mind that the day a package is picked up is not to be considered in your shipping times. For expedited shipping orders must be placed before 2pm PST to ship the same day. Shipping insurance is available for all orders whether you choose Free Shipping, FedEx or USPS Shipping options. 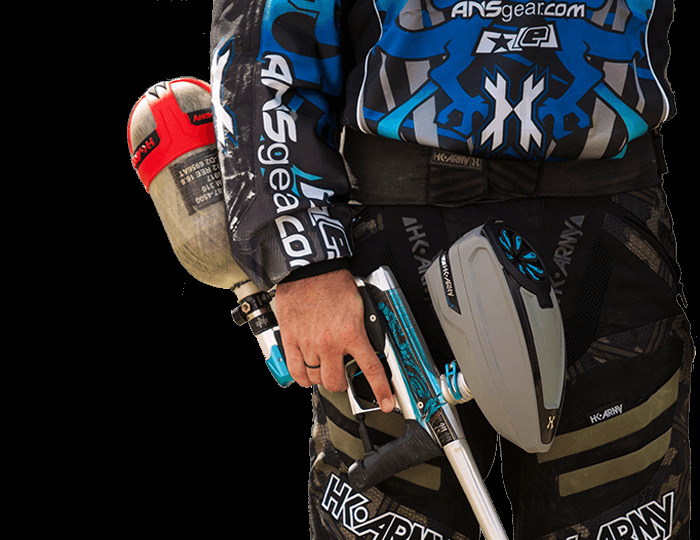 The shipping insurance category as well as the signature required option are available in the bottom of the main paintball menu on the left hand side of your page. If no shipping insurance is purchased, ANSgear.com will not be held accountable for any lost, stolen, or damaged packages.